Name and logo on all Wales Care Award promotional and event literature, including, programme, newsletter. Table for 10 at the Wales Care Awards dinner VIP seating area. Unique opportunity to target key customers and a captive audience in a relaxed setting. Branding opportunities – includes full page advert in programme and banner advertisement on website. Full use of Wales Care Awards Platinum Partner Logo. Recognised as supporting the independent care sector in Wales and its dedicated workforce at this crucially important time. Includes quarter page advert in programme and banner advertisement of website. Details in promotional material on evening. 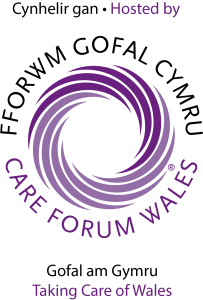 Name on Care Forum Wales web site.